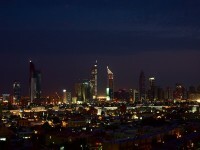 Dubai is one of those places that first pop into mind when you think luxury travel. 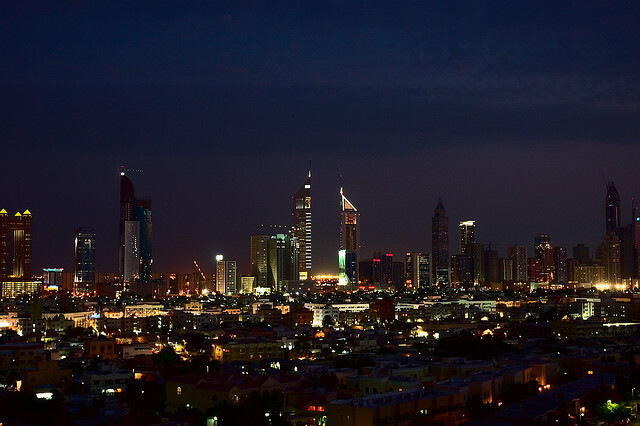 This small emirate, part of the UAE, is the size of a city state, and that’s what it feels like: a tiny, highly-concetrated den of luxury, glamor and modern architecture. Although, you can find the best hotels in Dubai with Expedia.co.uk, but there is more to do on this pleasure city than shopping, gorging yourself on overpriced delicacies and lounging about poolsides. Although Dubai is known mostly for catering to the rich and the lazy, more adventurous sorts will have plenty to do around here. Luxury and adventure in Dubai are definitely not mutually exclusive, so here’s what you can do during your holiday if you need to get a shot of excitement. When you look up at the super-modern skyscrapers that make up most of Dubai’s architecture it’s hard to imagine that there is actual wild and inhospitable desert behind them. 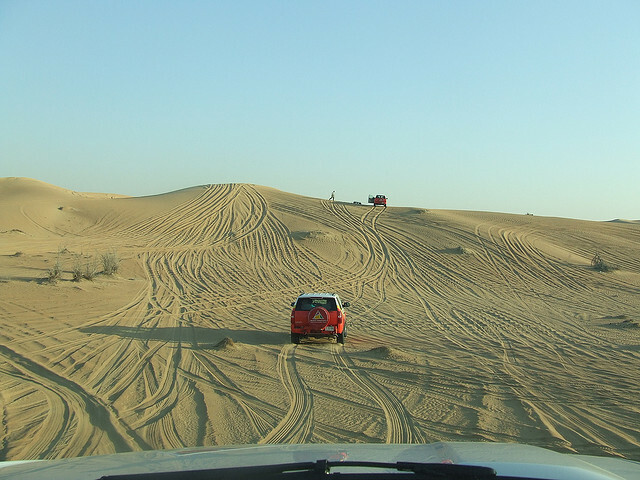 Leaving the UAE without doing something involving dunes would be a shame, so don’t miss your chance to do some dune bashing while in Dubai. 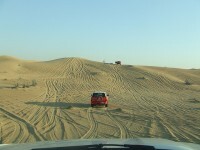 There are several 4×4 clubs in Dubai where you can rent a powerful car and hit the dunes, or you can sign up for a tour and let others do the driving instead of you. Skiing in the United Arab Emirates might sound like a crazy and utterly impossible idea, but in Dubai you can hit the slopes even in the scorching heat. The Mall of the Emirates has an indoor skiing and snowboarding slope that is pretty large considering that it’s located in a shopping mall. Don’t worry if you forgot to pack any warm clothes, you can rent equipment as well as jackets and pants (you’ll need to buy the gloves though). 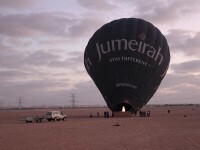 If dune bashing allows you to get to know the desert up close and personal, hot air balloon rides are the exact opposite. 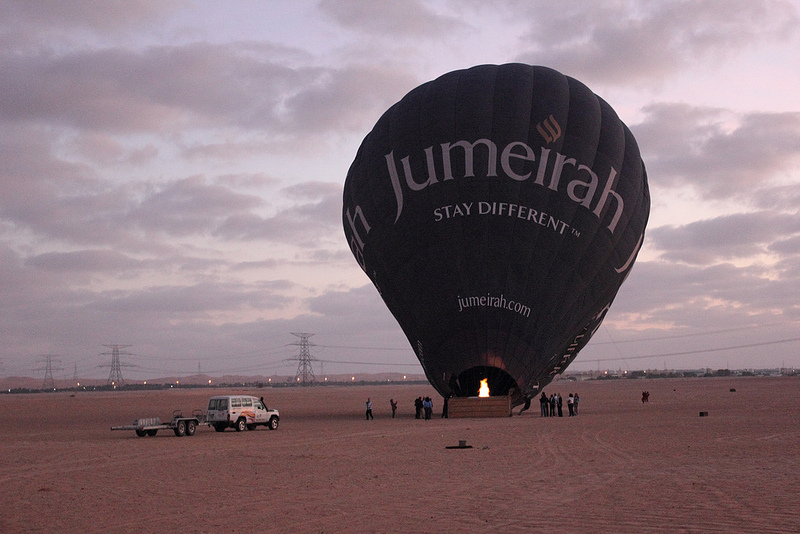 Enjoy the crisp and cool air of the morning and the silence of the desert while floating above the dunes in a hot air balloon. Bask in the light of the sunrise if you can get up early enough, and watch the patchwork of red dunes, blue oases and occasional wildlife go past. If you want a rush of adrenaline but you’d rather not leave the city for it, you can spend the day at the Aquaventure water park in Hotel Atlantis. There’s a thirty meter high pyramid-style slide, which is the starting point for seven exhilarating rides. The best of all is the Leap of Faith, a ride through a transparent tunnel right into a shark infested lagoon. The queues for the rides might be long most of the time, but they are definitely worth the wait. The beaches of Dubai are too developed for any good diving spots to be found near the shore, but take a short boat trip and you’ll discover all sorts of exciting dive sites. There are several interesting wreck sites where you can dive, but the cream of the crop if Khor Fakkan with its reefs and rich marine life. There are several diving centers in Dubai that can arrange trips to the choicest diving spots in the area. Dubai is favorable place for tourist. Tourist comes here to enjoy scuba diving, water park etc. I would like to visit Dubai very soon. Thanks for sharing such a informative content about Dubai Adventure.